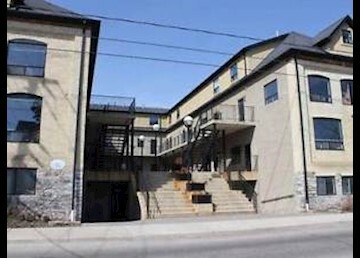 K-W Property Management Corp Presents: Located at 15-12 Bridgeport Rd E, Waterloo Loft Style Building – 1 Room Available Calling all students - come check out this unit!! •	1 Large room •	Unique loft décor •	Each unit has different layouts •	High Ceilings •	Exposed Brick •	Wooden Beams •	Huge Windows This building features laundry room, bike storage, and lounge are with large screen TV, and foosball table where you can meet your neighbors or entertain your friends. Available June 1st! $600 all inclusive *Non-Smoking Unit* K-W Property Management Corp www.kwproperty.com To book appointment check our online calendar for upcoming showings http://kwproperty.com/calendar.asp If you do not find a suitable showing time please email us your availability and we will book you a time to see the unit.